Got my poor mans 62mas back from the German Watch Maker. I bought it new in 1978 and it's been going ever since. Recently the second hand started to tap the minute hand and the rooter started to sound funny so I took it in. Norbert took it apart, changed some bushings, cleaned and oiled it and replaced the seals and it's been keeping great time since yesterday morning. Not bad after 38 years. 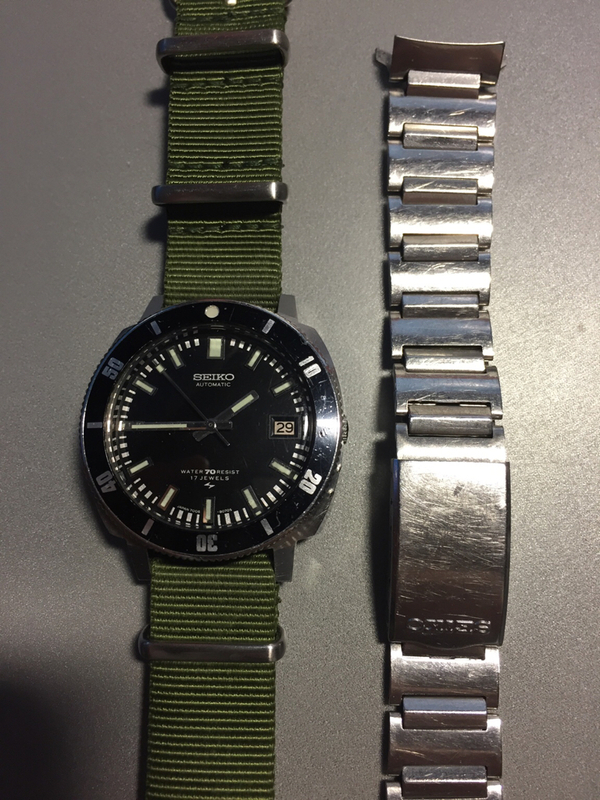 Still have the original bracelet but I like it on a NATO. One thing I like about these, (judging from photos) is how the bezel insert slants upward toward the center, characteristic of the grail 6215-7000, and also the 6217. 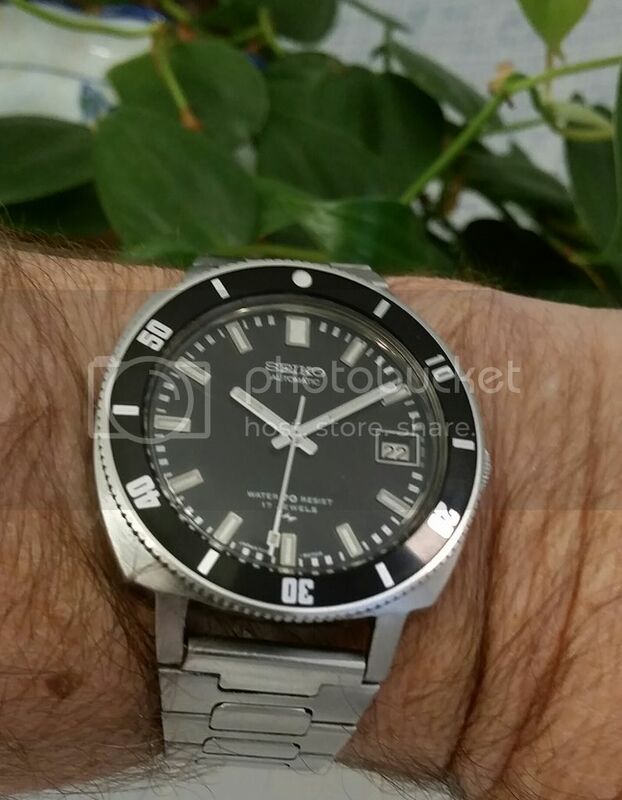 Looking at my watches my srp777 looks flat as does my 6105-8010. I really like that look, and I've got my eye out for one like yours, alebit I'd take one in lesser condition! edit: that original h-link bracelet is killer!! Last edited by dahlm076; 12-31-2016 at 09:17 PM. Great story, imagine that 38 years and it's first service. Amazing watches these vintage Seikos. Mine says "Hi". It sports an NOS bezel as the original was shot and did not do justice to the fantastic original dial and hand set. Yours also appears to be in the same immaculate condition. The black dial versions hold up well, I had a blue dial but sold it off because the dial just didn't look good after all this time so I never wore it. I have mine on an incorrect bracelet. I very much seek an original. 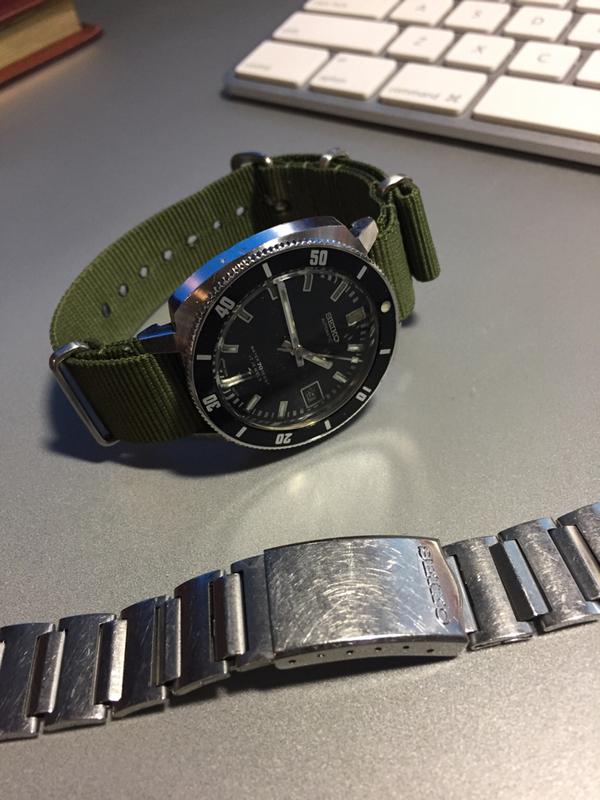 Is there a bracelet code stamped into the end links on your original ? That bezel looks awesome. I'll have a look and let you know about the bracelet. By the by where did you get the bezel just in case. The was a forum member here selling some a little while ago. Maxbliss? Yep, that's it. I knew there was a Max in there somewhere. 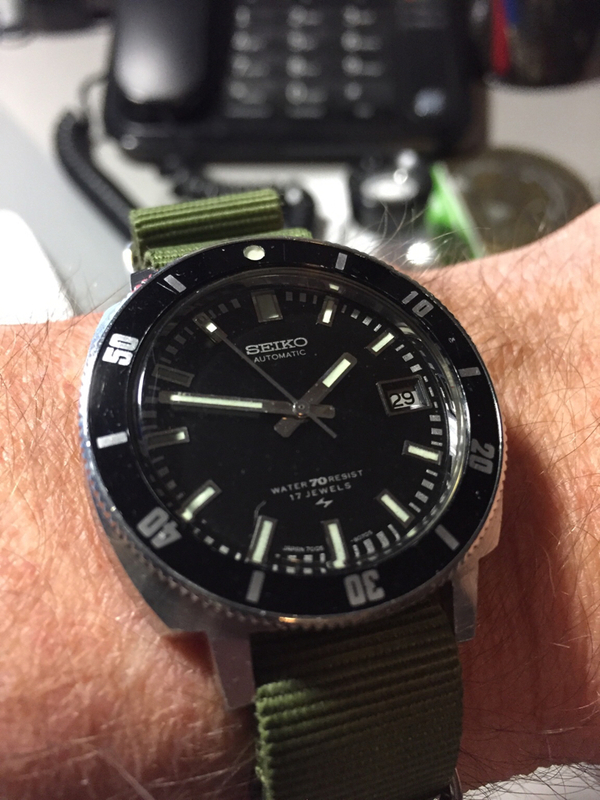 Digitalone, I got mine from Stefan (SeikoChrono) who is a Member and also a Vendor here on SCWF. I don't know if he has any more. I am pretty sure Max is sold out but it never hurts to ask. Both guys are great members and solid sellers. Top notch suppliers to us WIS's. Thanks guys. I'll give them a try. Great looking watch. That restoration looks superb. It is, but what restoration are you referring to? An amazing watch no doubt! I recently had the good fortune to add a white dial. Both are mounted on proper bracelets, too. 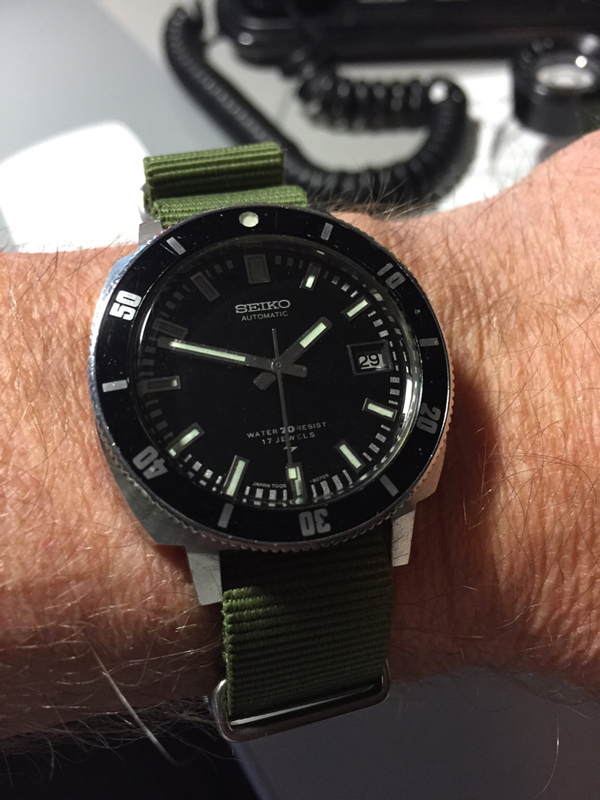 have just recently purchased one of these, brill little watch, especially on a black NATO! Since then I added the blue dial too - Thank You Mr. Jones !